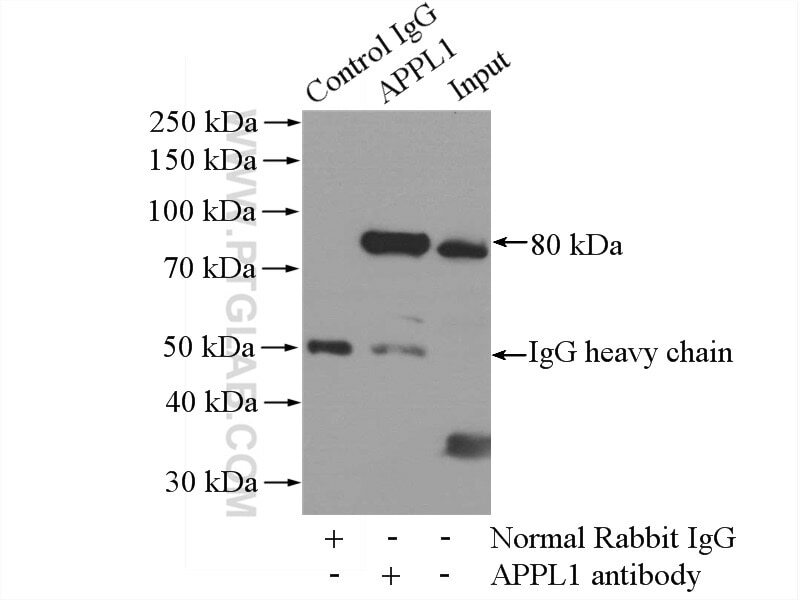 Immunofluorescent analysis of HepG2 cells, using APPL1 antibody 19885-1-AP at 1:25 dilution and Rhodamine-labeled goat anti-rabbit IgG (red). 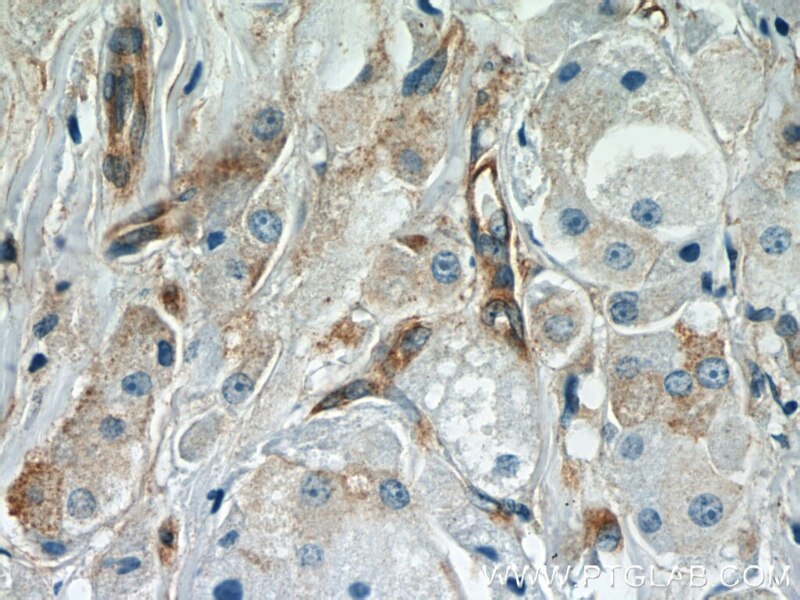 IP Result of anti-APPL1 (IP:19885-1-AP, 4ug; Detection:19885-1-AP 1:1000) with mouse brain tissue lysate 2640ug. Adaptor protein, phosphotyrosine interaction, PH domain and leucine zipper containing 1 (APPL1), a binding partner of Akt2 and an important regulator of insulin signaling, plays a key role in the regulation of insulin secretion [PMID:22615370]. APPL1 interacts with adiponectin receptors and mediates the insulin-sensitizing effects of adiponectin in muscle and endothelial cells. 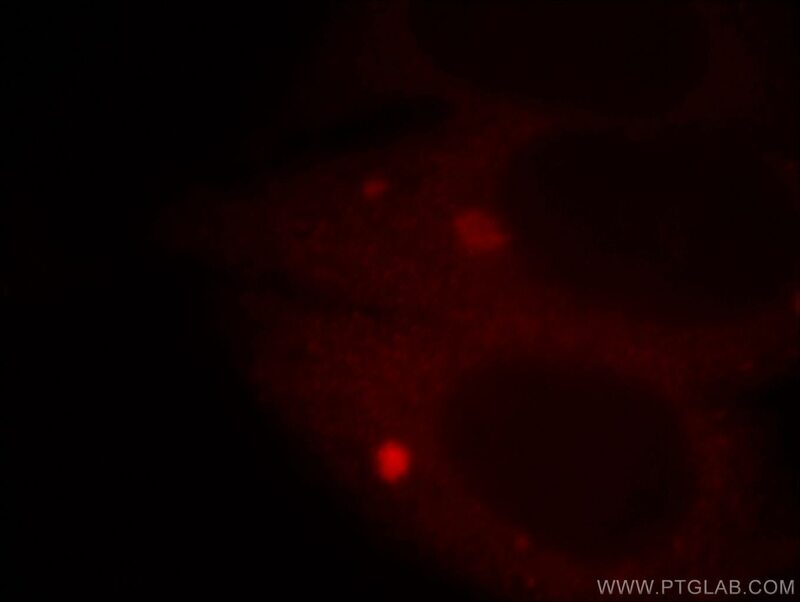 It also participates in nuclear signaling and transcriptional regulation, mostly by modulating the activity of various nuclear factors [PMID:22685329]. Apart from its role in endocytosis and endosomal transport, APPL1 was reported to undergo nucleocytoplasmic shuttling and participate in transcriptional regulation, e.g. by interactions with histone deacetylases (HDACs) [PMID:19686092].